Oh the sweet taste of spring! A red plump juicy berry dripping with sweetness. The vivid cap in that bright green that is just begging you to pick it up and place it in your mouth. Should I even dare say dip it in chocolate? Or maybe place it on some shortcake with lots of homemade whipping cream. I love it when strawberries start popping up everywhere. It’s the signal that spring has sprung. Today I wanted to showcase a trio of simple cards in a classic but fun color combo. As a child growing up I loved the Strawberry Shortcake dolls and toys. Think of that lovely combination just bursting with goodness. Red and pink with a little green. 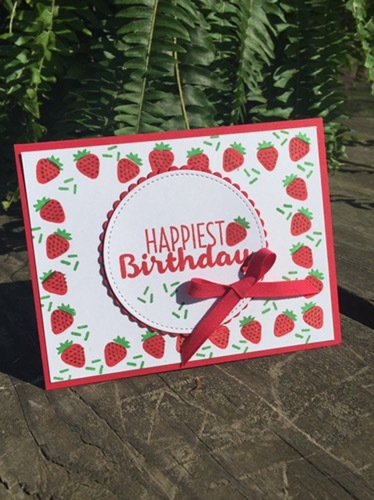 I went with Real Red and Melon Mambo for this set of cards and used the Cool Treats stamp set to come up with these goodies. I adore the new stitched framelits. 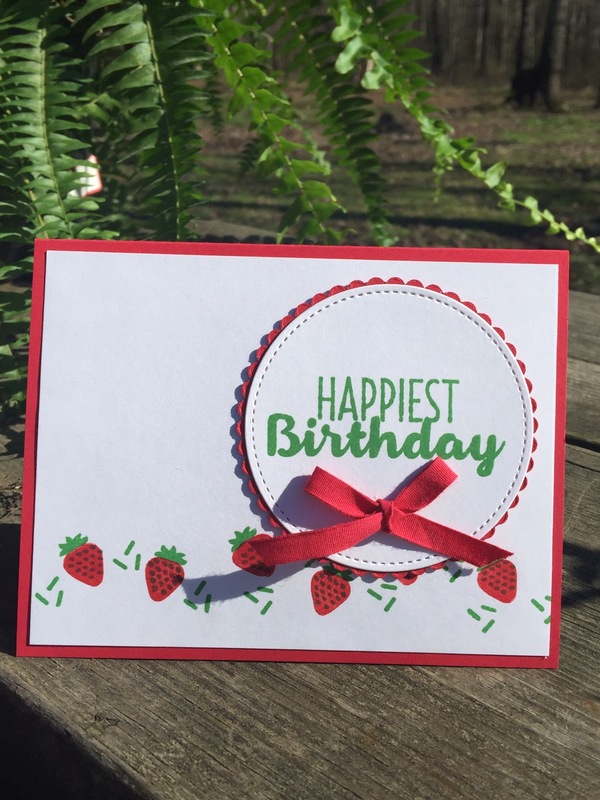 They really dress up your die cuts and add some quick texture. 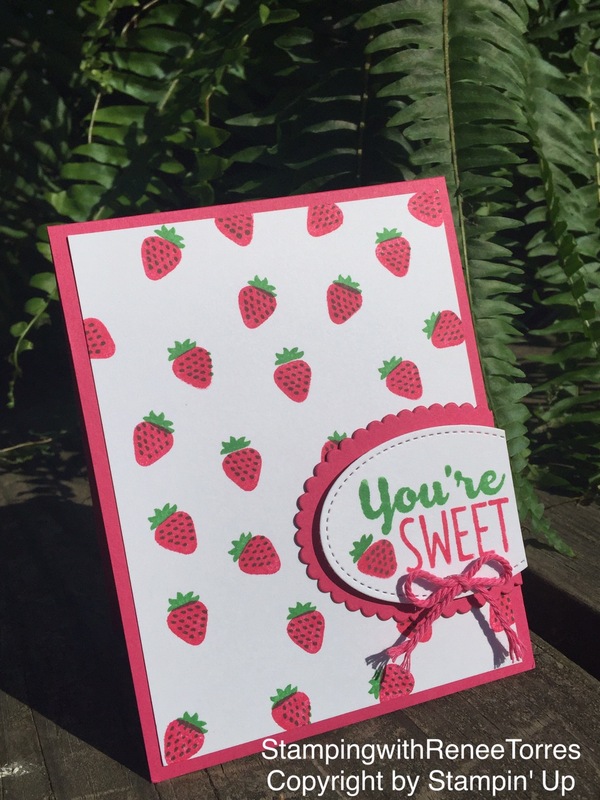 What a fun card for that special sweetie in your life. Thank you for sharing a little bit of this spring day with me as I sip on my strawberry lemonade.